The best way to teach children - through play - also happens to be the most fun. Packed with 1,001 entertaining and educational activities for children from birth to five years old, Gymboree's Play & Learn is a must-have resource for parents, and indeed for anyone who spends time with babies and young kids. A comprehensive resource book, Play & Learn features 1,001 surefire ways to amuse and entertain little ones from birth through age five. Packed with creative play ideas from child development experts, it makes an ideal gift for parents-to-be, parents of young children, and other caregivers. - This must-have play resource is perfect for anyone who spends time with young children. - Kid-friendly play ideas are great for spontaneous fun, no complicated preparation necessary. 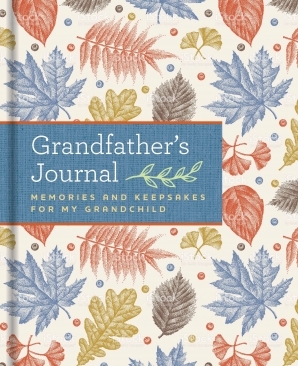 - Chapters organized by age help parents and caregivers flip to an appropriate activity quickly. - Helpful introductions highlight developmental milestones for each age group. - Activities enhance development in key areas, such as language, problem solving, imagination, coordination, and motor skills. - 1001 Fun Ways to Play has sold over 70,000 copies internationally. Dr. Wendy S. Masi (Fort Lauderdale, FL) is a developmental psychologist specializing in early childhood. She has designed and implemented programs for preschools, families with young children, and early childhood professionals for more than thirty years. Dr. Masi is the former dean for the Mailman Segal Institute for Early Childhood Studies at Nova Southeastern University in Florida and the mother of four children. Dr. Roni Cohen Leiderman (Fort Lauderdale, FL) is a developmental psychologist specializing in emotional development, positive discipline, and play. For more than thirty years, she has worked with young children, families, and professionals. Dr. Liederman is the dean of the Mailman Segal Institute for Early Childhood Studies at Nova Southeastern University in Florida and the mother of two children.